It is funny, I looked through CNN, MSNBC, ABC, CBS, and the rest, the only place I could find anything about the Fake News awards was in the Washington Post, and what did they do? They wrote an article saying they were a flop, in other words, Fake News. This was their sign that there was nothing there, but what REALLY happened was the moment Trump posted on Twitter the Awards were out, the servers crashed due to the rush of people all at the same time trying to reach the site. They kept trying which kept them down, this was not a flop as they would have you believe, this was such a success everyone tried to access the site at the same time. The did at least put one honest thing down, what the GOP tweeted, but posted it was due to some mysterious reason, sure could not be the number of people trying to access it, could it? It seems they like most fake news sites can’t help themselves; they have to continue, even over awards handed out over the fake news. 2. 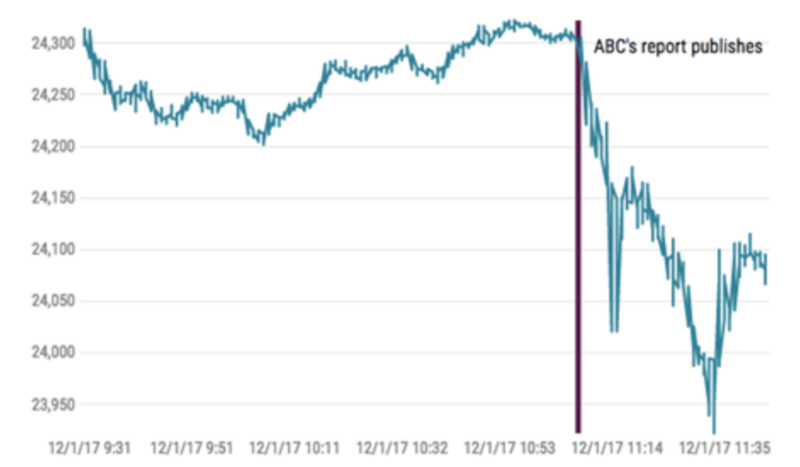 ABC News’ Brian Ross CHOKES and sends markets into a downward spiral with a false report. (via Fox News)4. 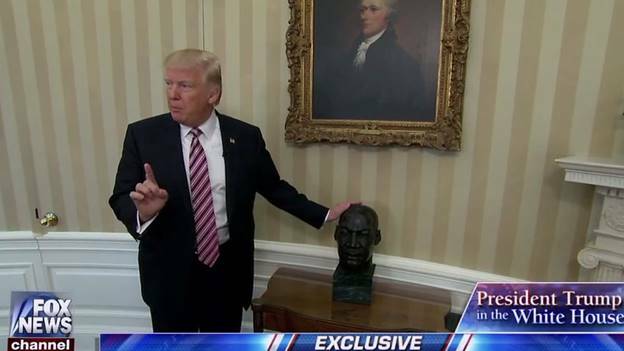 TIME FALSELY reported that President Trump removed a bust of Martin Luther King, Jr. from the Oval Office. 5. Washington Post FALSELY reported the President’s massive sold-out rally in Pensacola, Florida was empty. A dishonest reporter showed a picture of empty arena HOURS before the crowd started pouring in. 6. CNN FALSELY edited a video to make it appear President Trump defiantly overfed fish during a visit with the Japanese prime minister. Japanese prime minister led the way with the feeding. (via washingtonpost.com)8. 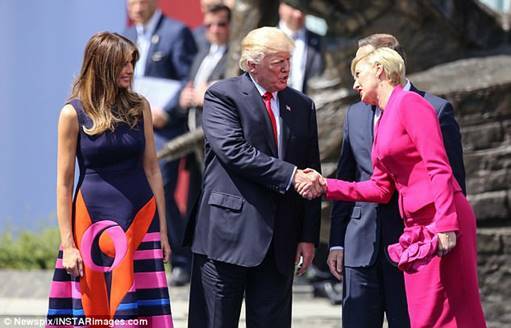 Newsweek FALSELY reported that Polish First Lady Agata Kornhauser-Duda did not shake President Trump’s hand. (via WashingtonPost.com)11. And last, but not least: “RUSSIA COLLUSION!” Russian collusion is perhaps the greatest hoax perpetrated on the American people. 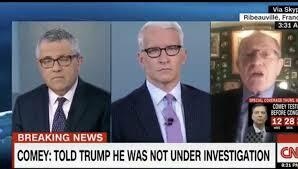 THERE IS NO COLLUSION! With the list out, the reason most places refused to cover this, it exposed them for what they are, fake news sites. The Washington Post took issue with one thing, Trump giving the award to New York Times’ Paul Krugman, they said he was not a reporter, well actually he was, he reported on financial matters, said that if Trump was elected the economy would take a dive, the stock market would not recover, we have all see how fake that is. In a way, I find this pathetic, great news organizations, once the herald of all that was, places that kept us informed, tried to present the news as it was intended, with little or no opinions in it. They have slid so far down the rabbit hole they are in a whole new world, they have no idea where they are, so carry on as if all is normal this way. We are witnessing is the death of these places, like a corpse, they keep kicking in their death until the neurons stop firing, but nothing is coordinated, only gives the perception of life, nothing more. 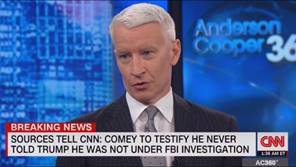 What we are witnessing is a monumental shift away from the big three that used to dictate all or news to us, ABC, CBS, and NBC, they were later joined by CNN and FOX, the old newspaper sites still had their followers, even these are suffering as well. In an attempt to make themselves relevant they have turned to becoming mouthpieces of the far left, have instead shown how irrelevant they are. Unlike Fox which has tried to change with the times, these hold on to the old ways, demand they be the only gateway to the news. Trump is not destroying journalism; he is just weeding out the inferior sites. In the meantime a whole delivery system of the news is forming on the internet, there is growth, but this too is going through growing pains. The internet is littered with fake news sites, but these will die out, just like the big ones are, only the ones surviving will have to have some type of credibility, able to give the news with a separation of what is opinion and fact. What we are witnessing is a shift in the way news is presented, nothing more. PreviousHey Democrats, What About Us Americans?